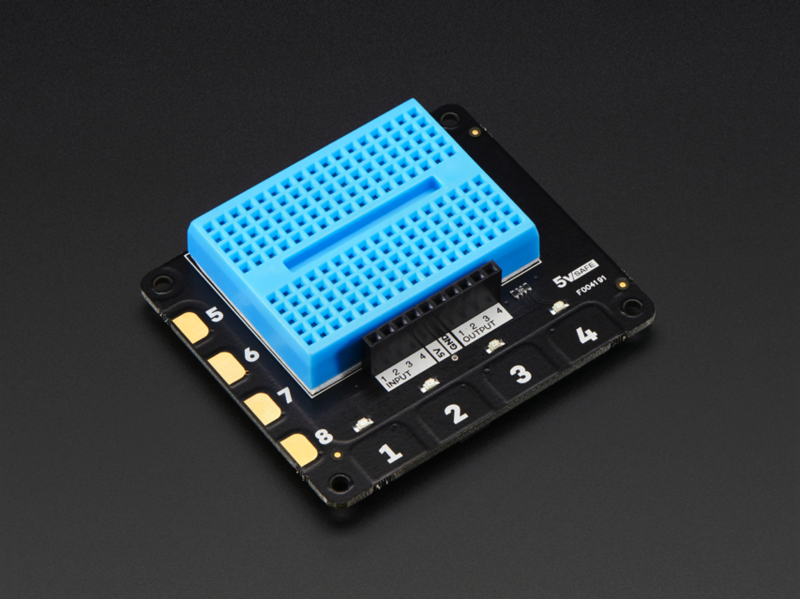 NEW PRODUCTS – Pimoroni Explorer HAT for Raspberry Pi / Pimoroni Explorer HAT Pro for Raspberry Pi « Adafruit Industries – Makers, hackers, artists, designers and engineers! 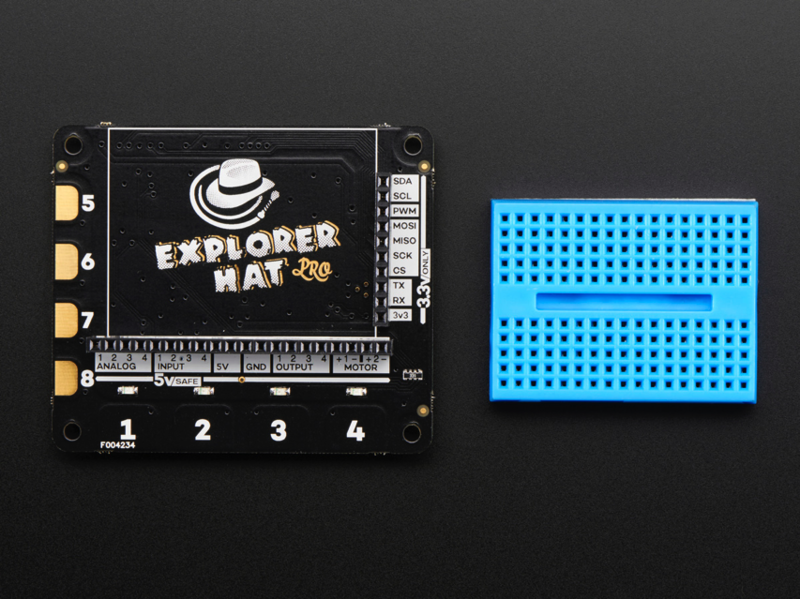 The Explorer HAT is a terrific prototyping side-kick for your Raspberry Pi 2, B+, or A+! On the Explorer from Pimoroni there are a heap of useful input and output options that will take your projects to the next level. Great for driving motors, using analog sensors, interfacing with 5V systems, and touch interfaces! 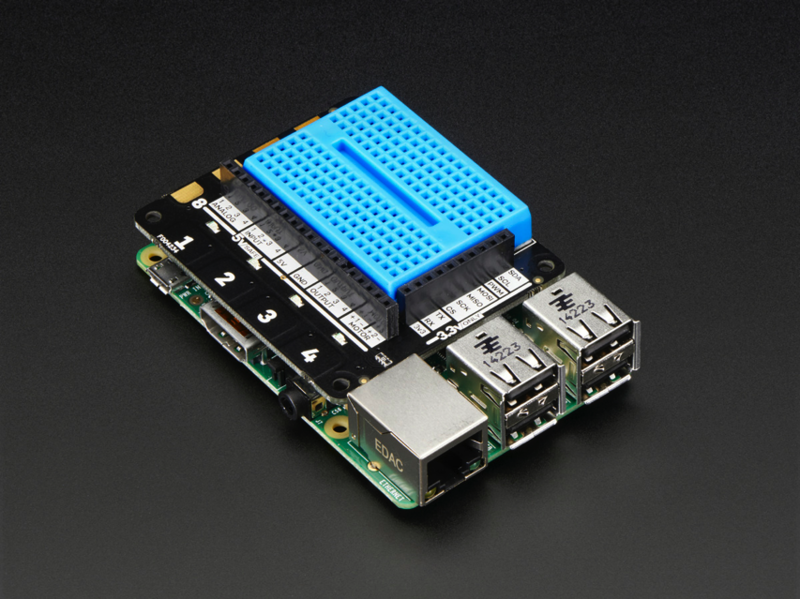 Hook up your Pi to accept input from 5V systems (like Arduino Uno/Leonardo or 5V Trinkets). We've used a 5-channel buffer that will accept anything from 2V-5V as logic high. The onboard darlington array can supply up to 500mA per channel (but you'll be limited to driving around 1A total from the board). Ideal for stepper motors, solenoids, and relays. Four along the front edge for touch input (labelled 1, 2, 3, 4) and four up the side for attaching alligator clips to objects (such as fruit, or tin foil) for experimentation! Independently controllable LEDs (red, green, blue, and yellow) that make great status indicators. 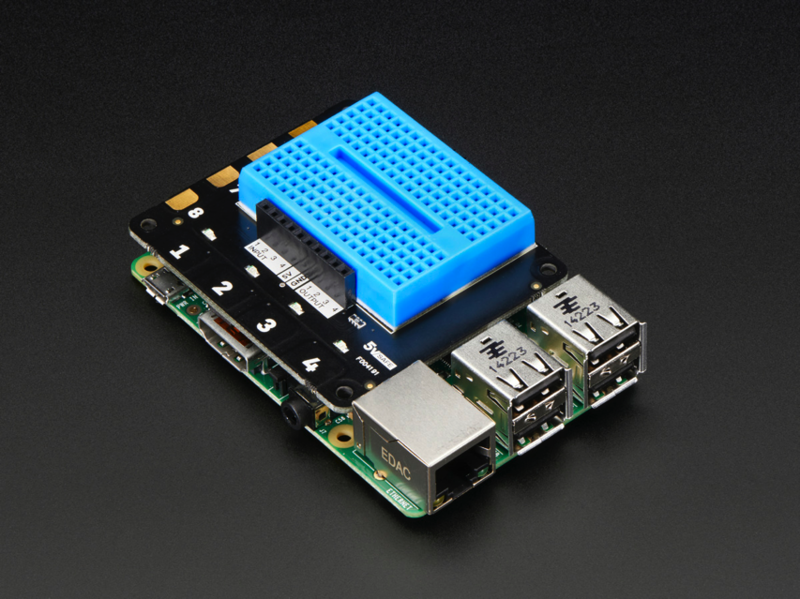 And head on over to Pimoroni’s GitHub to find a Python library, examples, documentation, and a brief introduction to the Explorer HAT! 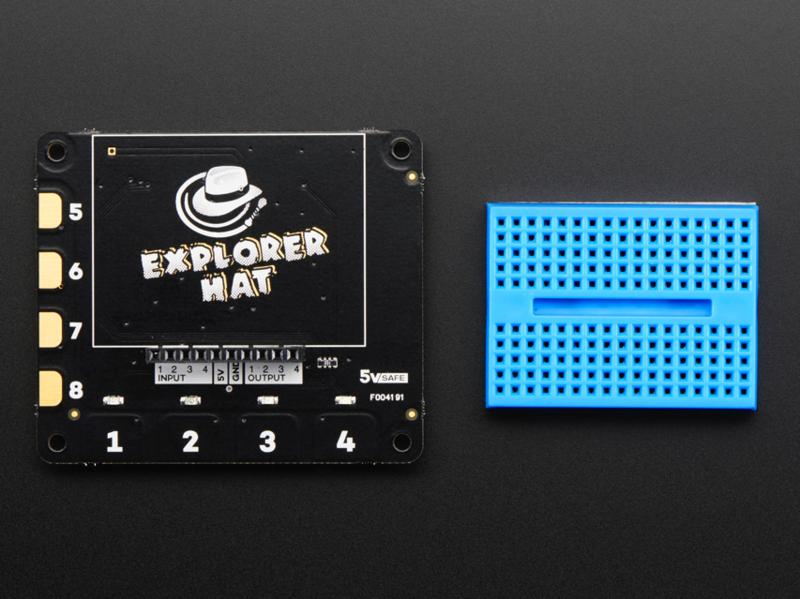 The Explorer HAT Pro is a terrific prototyping side-kick for your Raspberry Pi 2, B+, or A+! 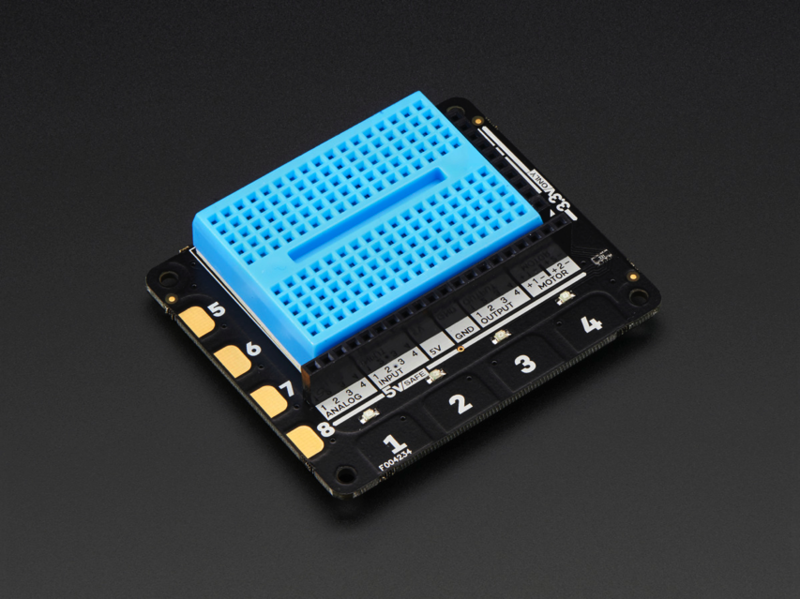 On the Explorer Pro from Pimoroni there are a heap of useful input and output options that will take your projects to the next level. Great for driving motors, using analog sensors, interfacing with 5V systems, and touch interfaces! A tidy way to integrate analog signals into your project. Drive two 5V motors bidirectionally with up to 200mA per channel. Ideal with our micro-metal gear-motors to create the perfect little buggy! You can even soft-PWM for full speed control.